Care to guess what Texas A&M is going to do about it? Flip the race. A white professor says “a few blacks may die…” Would the University still defend his right to say it? Very likely that professor would be fired for “Hate Speech” and the subject of the 1st Amendment would not even be mentioned. And yes, the 1st Amendment does protect free speech – from government control. That does not mean that you can’t be fired or otherwise censured by your employer for saying stupid crap in public and causing an outcry. Those are the words spoken by Texas A&M professor Tommy Curry during a 2012 podcast on race relations. 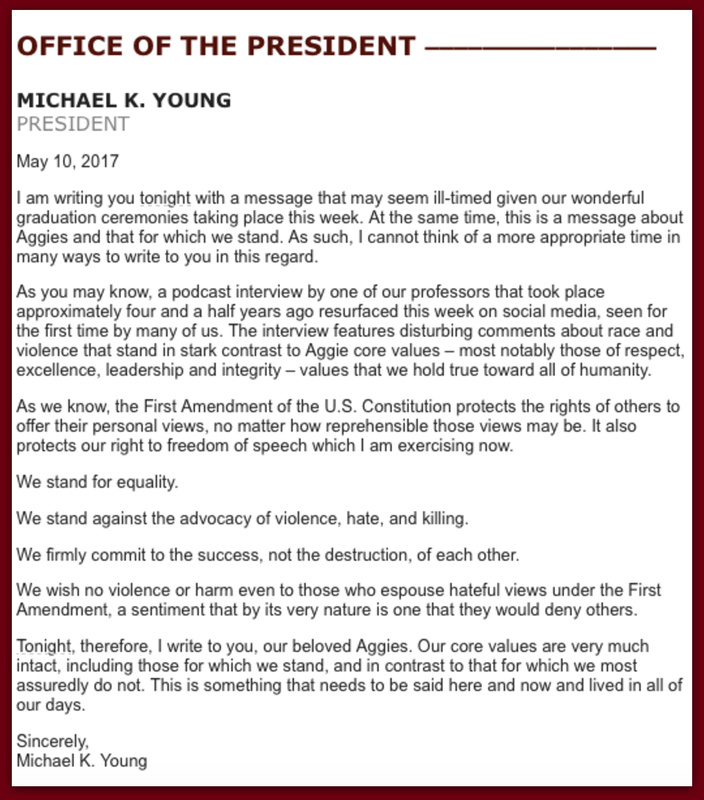 Texas A&M President Michael K. Young responded to Curry’s incendiary remarks in an email to students — and it doesn’t look like the professor should fear any disciplinary action. Instead, Young argued the First Amendment protects Curry’s speech “no matter how reprehensible” his words might be. 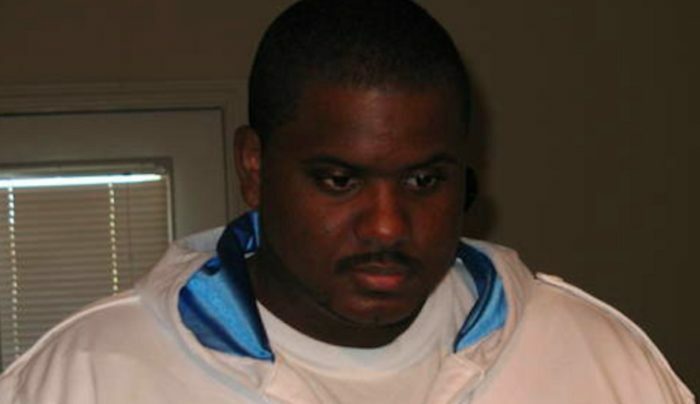 In the 2012 podcast interview, Curry suggested the idea that “some white people may have to die” is a “solidified…tradition” in the black community.